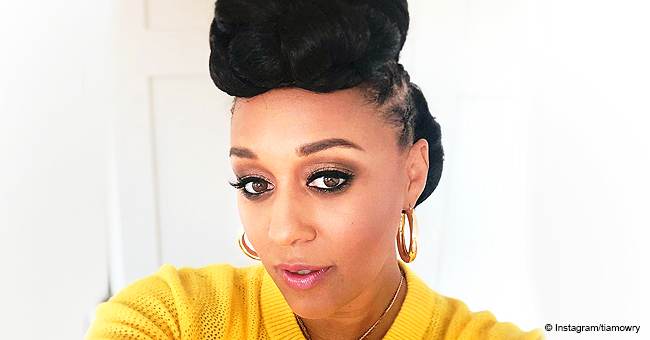 The “Sister, Sister” actress became a mom of two almost two months ago, but it was last week that she finally introduced her baby daughter to the world. The adorable girl has been taking front and center on Tia’s social media, and she couldn’t be happier about her eldest son’s reaction to his sibling. Tia Mowry documented her entire pregnancy journey on Instagram for all her followers to see. But when the time came, and she officially welcomed her daughter into the world, she made us wait eight weeks to meet the new addition to her family. However, fans agreed on the fact that the wait was worth it. 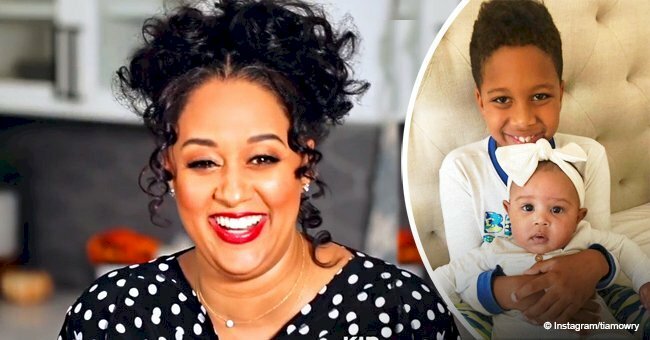 On the last episode of her YouTube channel show “Tia Mowry’s Quick Fix,” the proud mom introduced her adorable tot and revealed her name: Cairo Tiahna Hardrict, which matches with her brother’s initials, Cree Taylor. The 39-years-old actress and reality star revealed that the name was an invention from the baby’s father, Cory Hardrict, who had a spiritual moment while flying on a plane where he saw the letters "A, R and I" on the sky. At that moment, the actor decided his daughter’s name must have those letters. Cairo also means “victorious,” and Tiahna, aside from having “Tia” on it, also means “Follower of Christ” and was the name of the first African princess. Months before giving birth, Tia and Cory told People magazine that they would go for a unisex name that had a uniqueness to it, and they delivered their promise. Little Cairo has been featuring on Tia’s Instagram account since her official introduction, and fans can’t get enough of the girl’s cuteness. 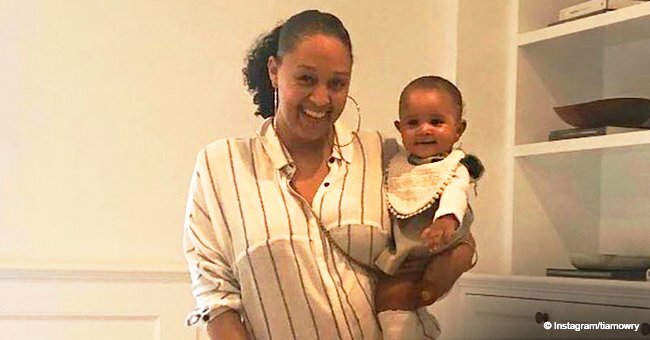 In one of the first photos Mowry shared of the girl, she was holding the baby in one arm while checking her cellphone with her son on the other side. 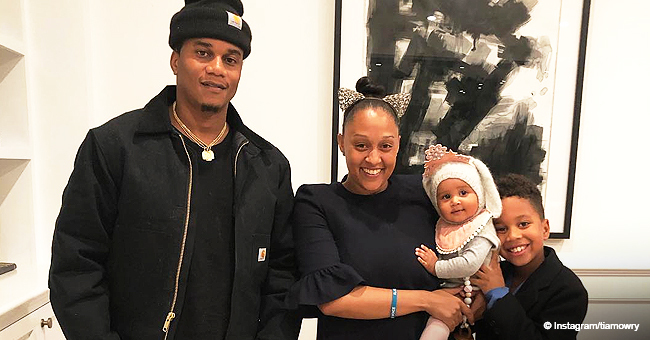 At the time, we didn’t know Cairo’s face, but her outfit caught the attention of fans, and that’s why Tia now shared a close up of the baby wearing the same outfit for her followers’ delight. In the pic, little Cairo Tiahna is wearing a short sleeve white t-shirt paired with a sparkling white tutu and a matching pair of lacy white socks with a frilly fringe. Even though she’s only close to two months, the girl loves the camera already, as she’s looking directly at it in the shot. 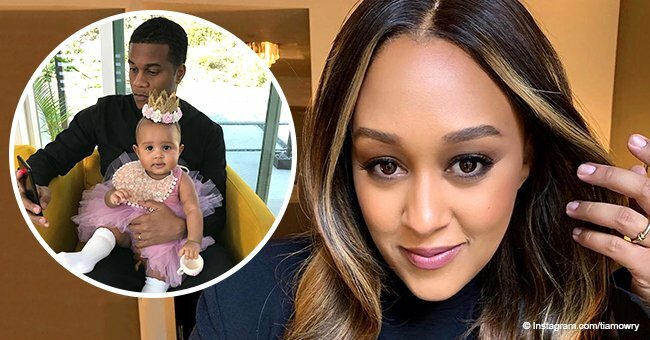 Even though is normal for firstborn kids to be a bit reserved whenever a new baby comes into the house, that hasn’t been the case with Tia’s seven-years-old son Cree, according to what she said on her video. The boy, who celebrated his birthday just two days ago, has been an incredible help to his mom whenever Tia’s husband is not around, but he draws the line when it comes to changing diapers or even touching them. Aside from sharing the siblings' love, Tia has also been keeping fans updated on her recovery journey after the pregnancy. Unlike many women who snap back fast and have their pre-baby body two weeks after giving birth, at seven weeks, Tia is still holding some of that pregnancy weight. The glowing mom posted an after-shower photo showing her belly and explained that it had taken her a while to snap back, but she’s working on it. “To be honest, it had to take time for me to embrace my new body. With this second pregnancy, I now have embraced that fact that I’ve housed a human being. A miracle. A life. If it takes a while for me to get back to my normal self, then so be it. This.Is.Me. And I love me,” she wrote.